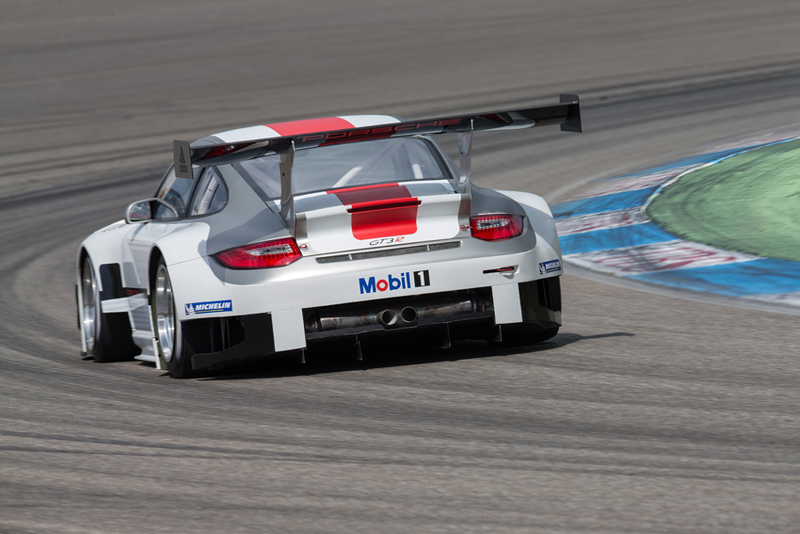 The new 2013 Porsche 911 GT3 R based on the 997 model generation heads into the 2013 motorsport season with extensive modifications. 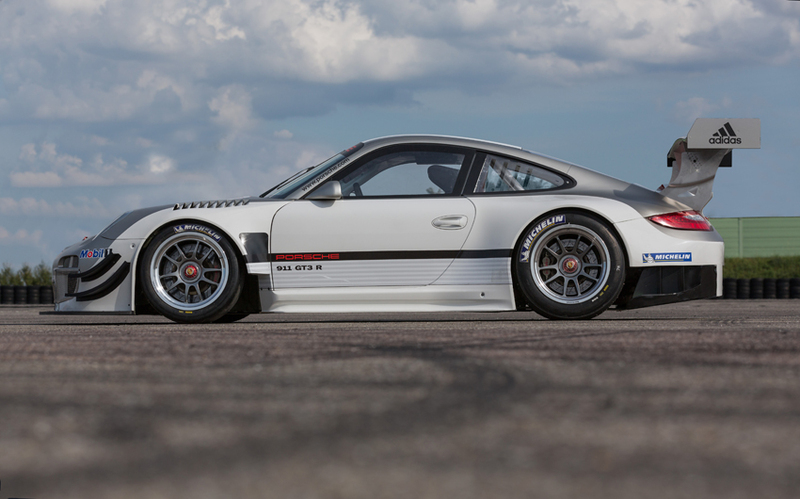 With its widened fender flares front and rear, the successful customer sport racer, fielded in the GT3 classes, looks considerably brawnier than its predecessor. 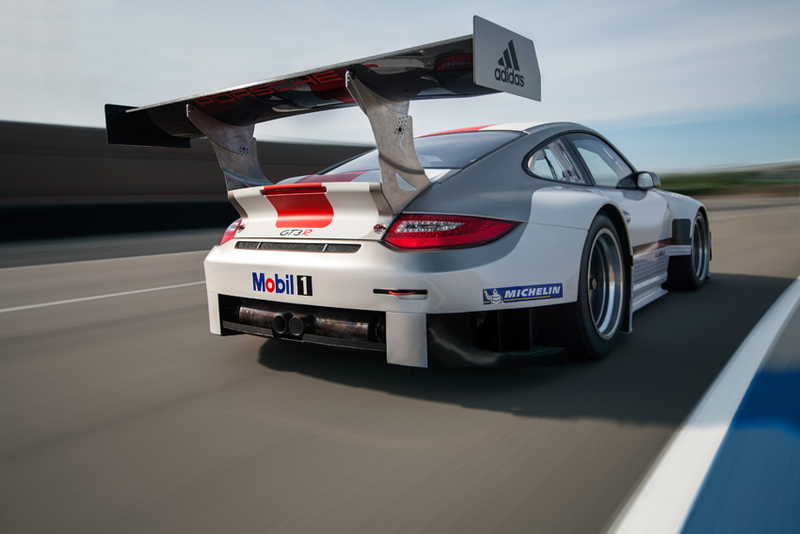 The new aerodynamics generates substantially more downforce, allowing for higher cornering speeds and later braking points. The wider track and the adapted wheels provide additional improvement in traction. 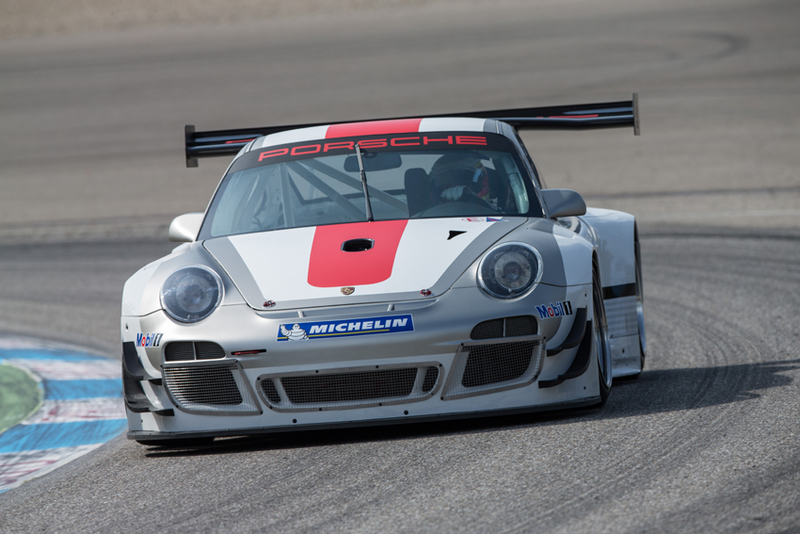 Ever since its launch in 2010, customer teams around the world have gone from success to success with the 911 GT3 R. In 2012 alone, Porsche customer teams raced the 500 hp production-based Grand Touring race car in 131 races, won 41 of them and clinched numerous championships. 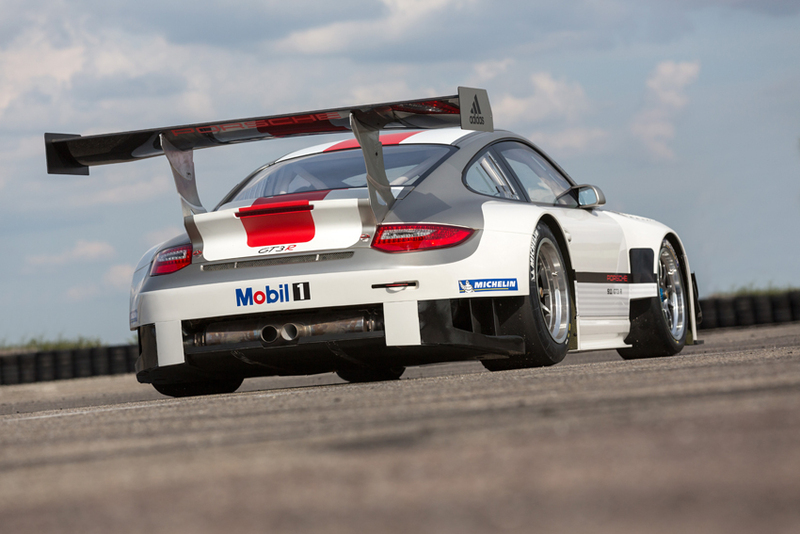 For 2013, Porsche Motorsport significantly modified the aerodynamics. 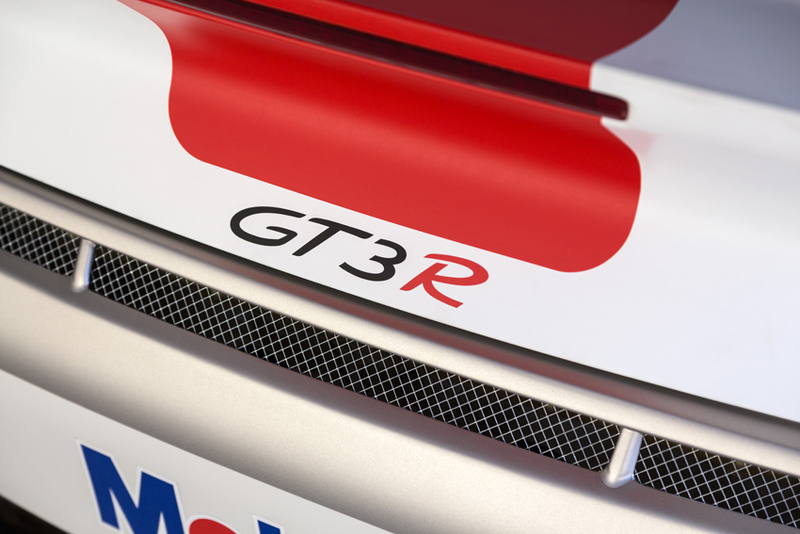 The front bumper panels, all fenders, the sill covers, the rear panel and underbody with rear diffuser received further fine-tuning in the wind tunnel. 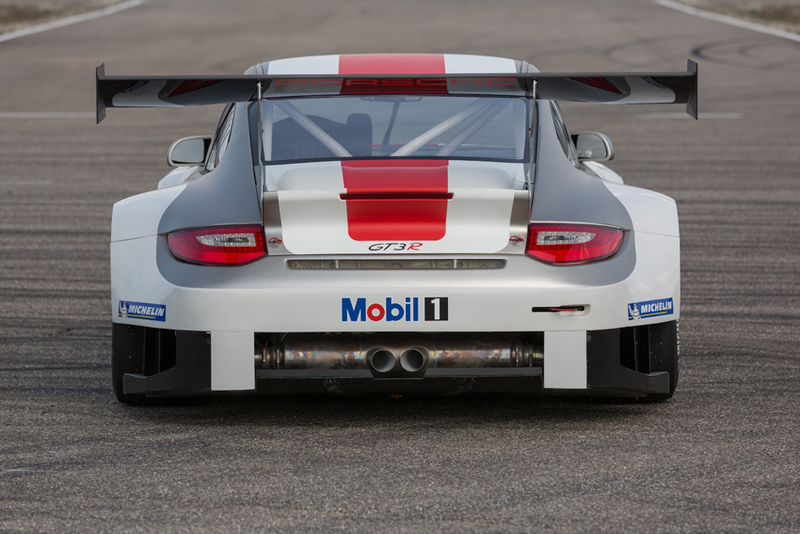 The rear wing was enlarged to the width of the vehicle and repositioned to work optimally with the redesigned body. The suspension also underwent modifications. The track of both the front and rear axle grew by 50 millimetres. The width of the front rims is now twelve instead of 10.9 inches.The wheelbase of the latest 911 GT3 R grew by ten millimetres. Like its predecessor, the highly efficient four-litre, six-cylinder flat engine has an out-put of 368 kW (500 hp). 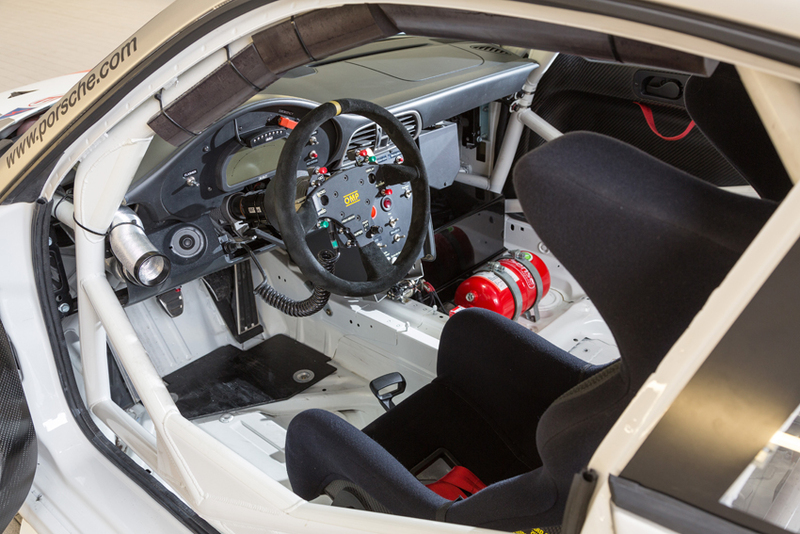 The Porsche six-speed sequential dog-type gearbox with pneumatic shift system is operated via shift paddles on the steering wheel. This technical solution allows very fast and smooth gear changes – an advantage when it comes to high operational safety and a long service life. 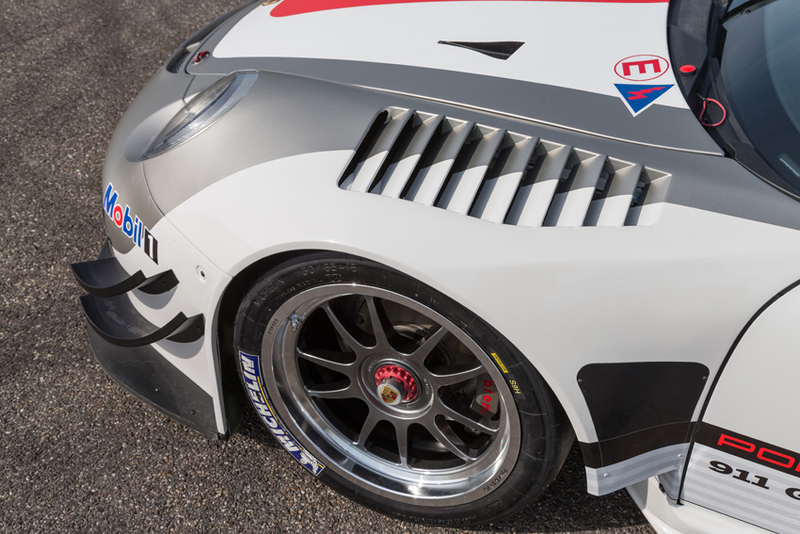 An array of electronic driver assistance systems adopted from the predecessor helps turn fast and safe laps. The E-gas features a throttle-blip function. The gearbox elec-tronics make skipping gears and the resulting over revving of the engine virtually impossible. 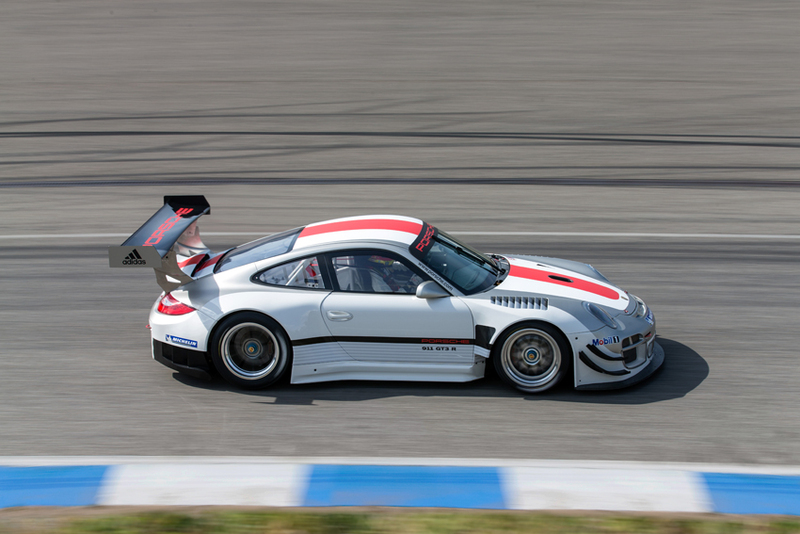 Thanks to a specially-adjusted traction control and a race ABS, the 911 GT3 R can be very well controlled under braking and acceleration. 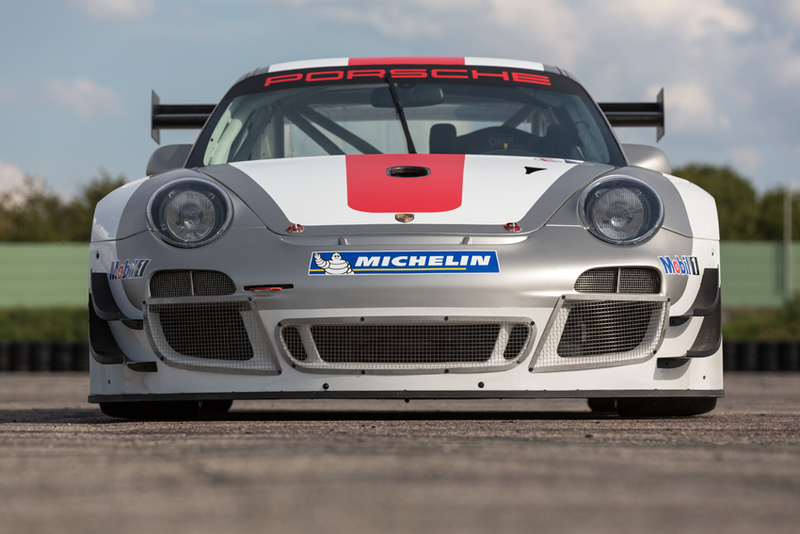 With a conversion kit offered by Porsche, customer teams can convert older model years of the 911 GT3 R to the 2013-spec. 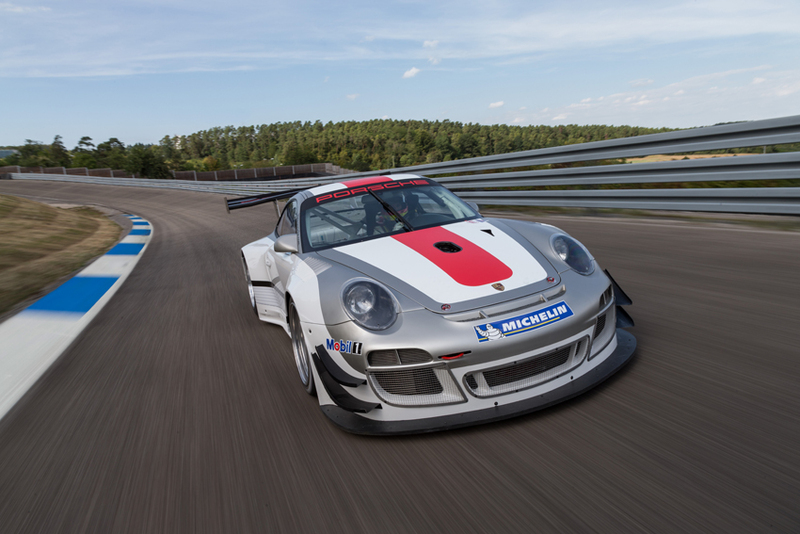 The kit is available from Porsche Motor-sport at the price of 45,500 Euros plus country-specific value added tax.